I looked right, I looked left. 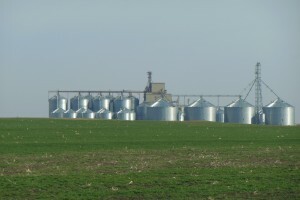 Fields surrounded me, some white with snow, some almost white with wheat stubble, huge silos broke the horizon, and I smelled something resembling a feedlot. A farmhouse with its barns and tractors sat alone, not another house in sight. Suddenly, I saw the flat fields differently. These fields, and the people who worked them, were providing my food. I felt profound gratitude. 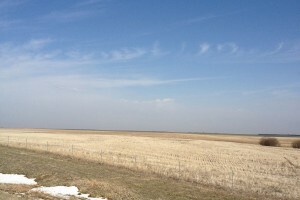 Here’s what I took away from my road trip on that long stretch of highway – the need to say “thank you” to the Kansas folks who farm and raise cattle. Thank you for putting up with the unpredictability of the weather that can ruin you, for living through not enough rain, too much rain, wind, freezing temperatures, not enough sun, too much sun. How daring of you to live at nature’s whim. And I felt grateful to be able to drive through Kansas – and so many other states on this journey. Thankful to see so much of America. Thank you, to the good drivers of Missouri (they knew to move to the right lane to let your pass. I notice that seems to be a lost skill in many places). Louisiana – love the Cajun feel and the swamps of the south. 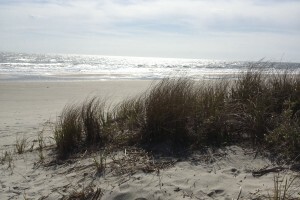 South Carolina coast – great beaches, palm trees, and people. Western North Carolina – lovely hills and mountains and arts. 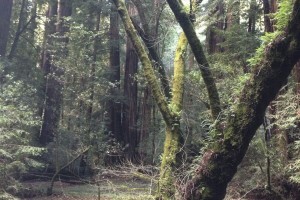 Also took a trip to California and visited Muir Woods in San Rafael. On my road trip, I also traveled through Virginia, a beautiful green state – with everything from rolling green horse pastures to the red brick heritage of the Revolution to the urban centers around DC; and NY state – rolling hills also, and yet burdened by the City (NYC) which dominates our mental landscapes. And in a previous story, I mentioned Texas. Regardless of what I said, I did have a good time there. 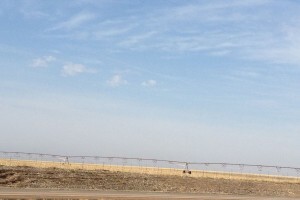 All in all, not only am I grateful to Kansas, but to the U.S. and the ease with which we can travel from state to state. And I’m grateful for the land and people who work it and live close to it. And, I’m grateful to have made it this far on my journey. I actually struck my husband across the chest (and he was in the driver’s seat) when we crossed Kansas together. It seemed like a place that prompted the saying – ‘a God forsaken place.’ I’m glad you were able to take such a positive feeling away with you.